Jordan Brand’s Year 2013 lineup will feature several variations of the Air Jordan 13 and one excellent edition is set to hit the market this February 2013. 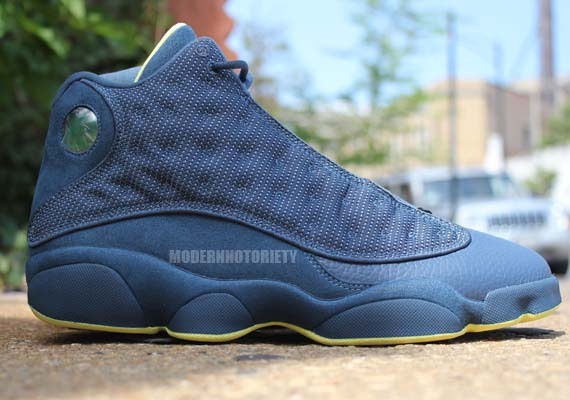 The Air Jordan 13 Retro will be available in “Squadron Blue” edition or what is officially known as the Squadron Blue/Electric Yellow-Black colorway of the shoe. This colorway of the 13th edition of the Air Jordan will come out on February 9, 2013 and will be retailed at $170 per pair. Stocks of this kick could be limited once it is released next month so make sure to watch out for it.